She handed me the photograph. I noticed the sharpenss of the soldier’s dark eyes, the strong jawline and the firm tilt of his head, and most of all the startling intimacy between subject and photographer. ‘Oh, Nan…he;s a handsome guy. Who took the photo?’I saw a wary reaction flare in Nan’s watery eyes. ‘A girl I once knew. She liked to take photos.’ Nan closed her lips firmly. When Stella returns home to spend Christmas with her parents and her much loved grandmother, she senses that the tension between her mother, Linda and her grandmother, Rose, hasn’t lessened since last time she was here. She has never understood how her Nan, so loving to her, is so harsh towards her own daughter. When she accidentally finds an old photograph in her Nan’s bedroom, she starts to investigate. Over sixty years earlier, Rose and her sister Vivienne share an idyllic childhood living in a Spanish-style castle in northern Queensland. Nothing, it seems, can come between them. But when Rose leaves home and meets a handsome American soldier, this relationship will test the bond between sisters. 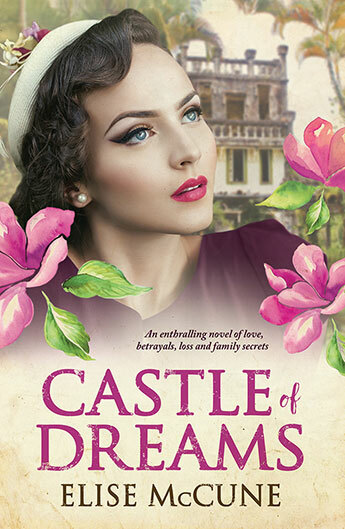 Castle of Dreams is an engaging story of three generations, and the secrets that can shape family relationships long after they are kept. As Stella unravels her Nan’s past, she also learns more about her mother and a mysterious aunt she never knew she had. Set in World War 2 and in contemporary times, this is an absorbing story of love and betrayal.